Joe Hanuscin, Jr. has been in the commercial lending industry for over 20 years with a concentration in real estate finance over the past 15 years. Joe was formally credit trained at Philadelphia National Bank in the early 90’s before spending several years working for local regional banks in increasing capacity as a business and commercial real estate lender. 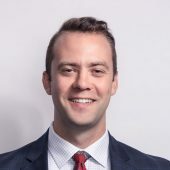 Joe’s entre into real estate finance began with RAIT Investment Trust where he was a Senior Underwriter for Pinnacle Capital Group (a wholly-owned subsidiary of RAIT) a Commercial Mortgage Backed Securities (“CMBS”) debt provider. While with RAIT additional exposure was gained in the arena of bridge and mezzanine loans, preferred equity and owned real estate. During his tenure here Joe underwrote and closed in excess of $200 million across multiple asset classes including multifamily, office, retail, hospitality and industrial. 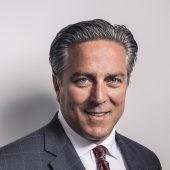 Increasing roles in real estate and management occurred thereafter with Republic Bank via First Capital Exchange (a wholly owned subsidiary of Republic Bank) where Joe was responsible for the day to day operations of a newly formed boutique bridge and mezzanine real estate finance company generating transaction volume of $20 million. While with Republic Bank he also directed the growth and management of a $150 million multiple asset class portfolio while running the construction lending department, and administering all third party reports. With the down cycles that always occur in the financial markets, Joe also maintains experience in workout and REO which was most recently expanded during the financial crisis of 2008. As a result of this time and tenure within the real estate industry Joe has a complete perspective of the real estate lending process from application to deal structure to underwriting to closing and is prepared to provide unparalleled service to every client.